This quaint little town in the state of Pahang lies just north of the Endau River on the East Coast of the Malaysian peninsula. All the basic amenities can be found in Rompin. There is a supermarket serving the local community selling most sundries along with a daily market. There are also quite a few shops selling other general items. 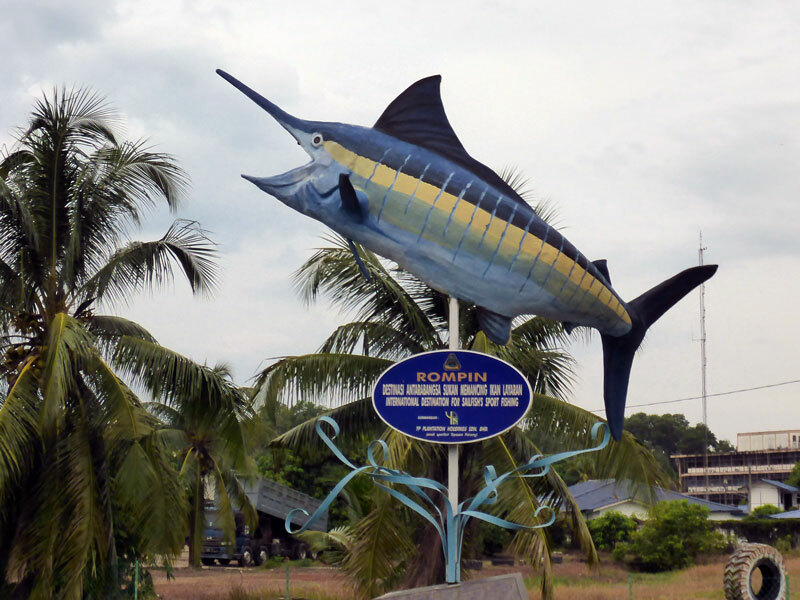 Whilst we specialise in fishing trips to Kuala Rompin with Sailfish being the primary target, the odd juvenile Black Marlin has been known to strike our baits, lures and flies. By-catch includes Spanish Mackerel, Cobia, Queenfish, Barracuda and a mix of Trevallies. Although not large in sizes, the Mahi Mahis are around from May till August and can be prolific at times. All Billfish are strictly Catch and Release only. All other species of acceptable size belong to the angler who can decide to keep one for the dinner table or release them. Should you want to bring some fish home, we are happy to process and pack it for you. 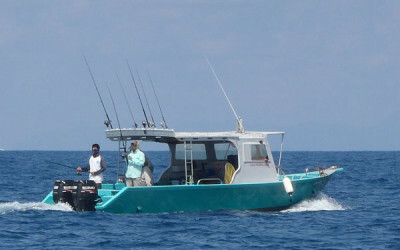 Fishing season starts around mid March and ends in mid November with the arrival of the North-East monsoon. The boats are locally built fibreglass hulls powered by twin, well-maintained, four stroke engines. They are equipped with a live bait well, GPS, fish finder and all the necessary safety equipment. Passport validity – Please ensure that your passport has at least six months validity from your charter date. Visa requirements – Depending on which country you come from, you may need a visa to enter Singapore and Malaysia. Travel insurance – All clients are strongly advised to purchase their own travel insurance. Proximity to International Airports – Depending on road traffic conditions, it is approximately three and a half hours from Singapore. *Clients should note that fishing adventures involve some risk. Whilst we make every effort to safeguard our customers and crew, we will not be responsible for any personal injury or loss due to actions that are beyond our control. Inquire now about our available dates, suggested itineraries and packages. We can tailor a fishing trip to Rompin specifically to match your unique requirements. 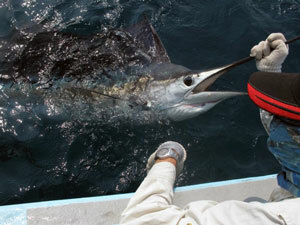 Come fulfill your wish to land a Sailfish on Fly, Bait or Lure, with us.